the new puncture repair kit for passenger cars: quick, easy, economical * re-mobilize your car within 3 minutes * for car tyres up to 225 * seals and refills the tyre to 32 psi (2,2 bar) There is no simpler, faster and more effective way to repair a tyre puncture - and to continue your journey after only 2 minutes. There is no simpler, faster and more effective way to repair a tyre puncture - and to continue your journey after only 3 minutes. 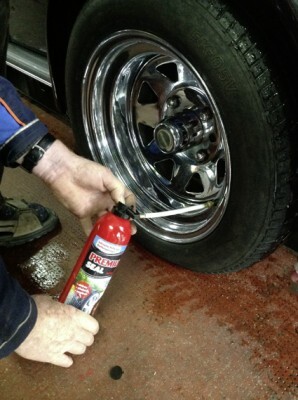 The aerosol can is directly connected to the sealant bottle; removing the valve insert is not required. 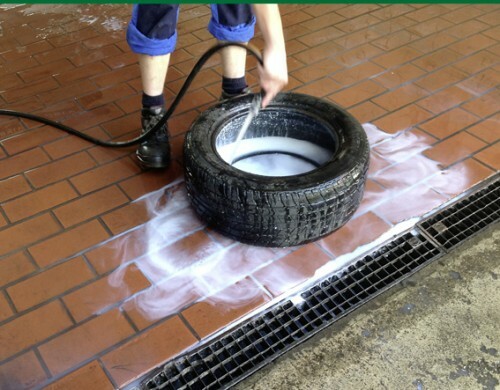 When pushing the button, the sealant is pumped into the tyre and the required minimum air pressure is established so that you can continue to drive. The tyre pressure is further increased by the warming of the tyre while driving. 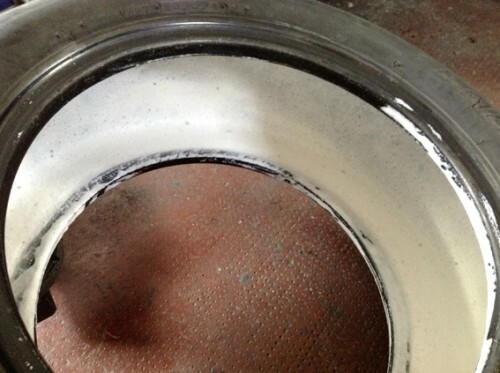 The Aero-Mobility tyre sealant is newly developed; when filling the tyre it forms a foam whicht spreads throughout the whole tyre, thus sealing it immediately no matter where the puncture is positioned. The foam can be easily removed with clear water. The sealant is environmentally compatible. 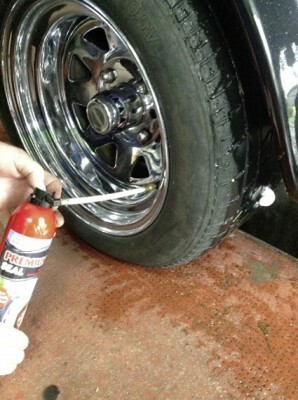 650 ml PREMIUM-SEAL Repair tyre sealant is suficcient for any common passenger car tyre.